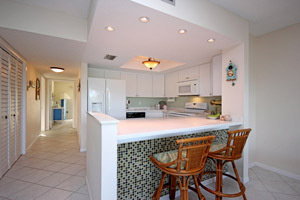 Sanibel Island Real Estate, Captiva Island Real Estate - New Listing! Sunset South on Sanibel! New Listing! Sunset South on Sanibel! River Front Sunset South Condo! 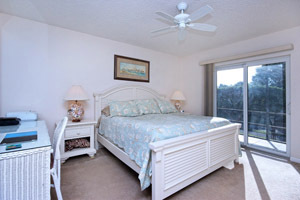 Sunset South Condominium is located directly on the Gulf of Mexico, as well as overlooking a river on the north side. 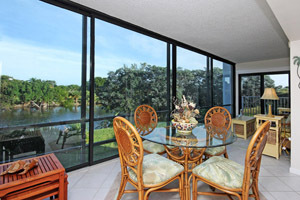 Unit 6A has beautiful river views as well as views of the Sanibel Golf Course across the water. Just a short stroll through the resort brings you to miles of Sanibel's best beaches! This condo is offered furnished and ready for you to just unpack and move in! Unit 6A is an updated two bedroom, two bath condo. 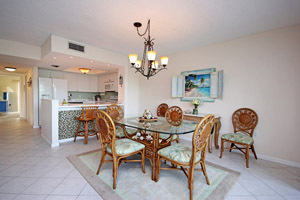 Light, bright and fully furnished with an open kitchen and expanded living area. Tiled floors and all impact glass windows. You also have garage parking, extensive storage and keyed elevator access to the unit. 1150 total sq. ft. gives you lots of room for guests, or to put the unit in a rental progam if you wish. Currently, this unit has never been rented. For more information about the Sunset South condo complex you can check out my Sunset South webpage Here! or check out the visual tour of the area. Sunset South is centrally located and close to our beaches, the Sanibel Lighthouse, the Sanibel Golf Course, and the best restaurants and shopping on Periwinkle Way! This condo should be put on your "must see" list. The holidays are coming and our residents and visitors are starting to return. Our daytime temps are in the mid 80s and at night in the mid 60s - perfect! When the temp dips in the 30s and snow starts to fall, this is the perfect time for you to come on down and check out what our islands have to offer. 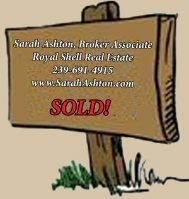 I have a full inventory of properties to show you! Whether you are looking for a home, condo, or homesite, I'm sure I can find the perfect property for you. I am a long-time island resident and even if you want to find a homesite and build, I've done that myself and I can definitely help you! If you want to start you search on your own, my website has the tools to help you. I have a wonderful property search tool where you input your buying criteria and you can see everything listed. You can even search by map! 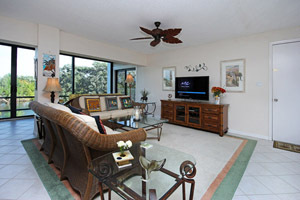 To check out condos, you can go to my condos page and check out videos of each condo. For homes, you can go to my neighborhood page and look over some of our beautiful island neighborhoods! So make this your year for finding Sanibel and Captiva Islands. From miles of beach, miles of bike path, world class fishing and shelling and over 60% of the island being wildlife preserve, our islands offer something for everyone! Give me a call TODAY and I can get to work finding just the right property for you.